Motogear | MotoGP Japan: Pole Position for Danny Kent! 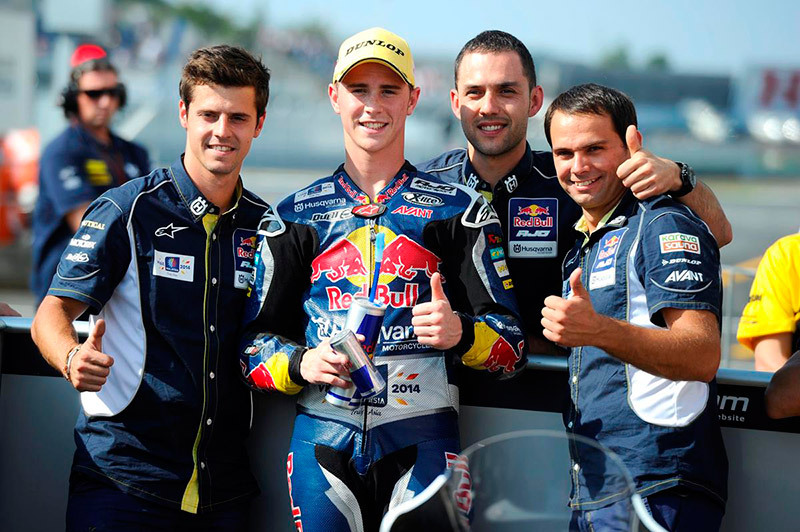 MotoGP Japan: Pole Position for Danny Kent! 16 Oct MotoGP Japan: Pole Position for Danny Kent! Danny Kent started off the MotoGP Japan weekend brilliantly! He was fastest in free practice one and two and secured pole position. Unfortunately his good luck did not continue on race day as he only managed 6th position – however 1st and 6th were separated by only 1.7 seconds.